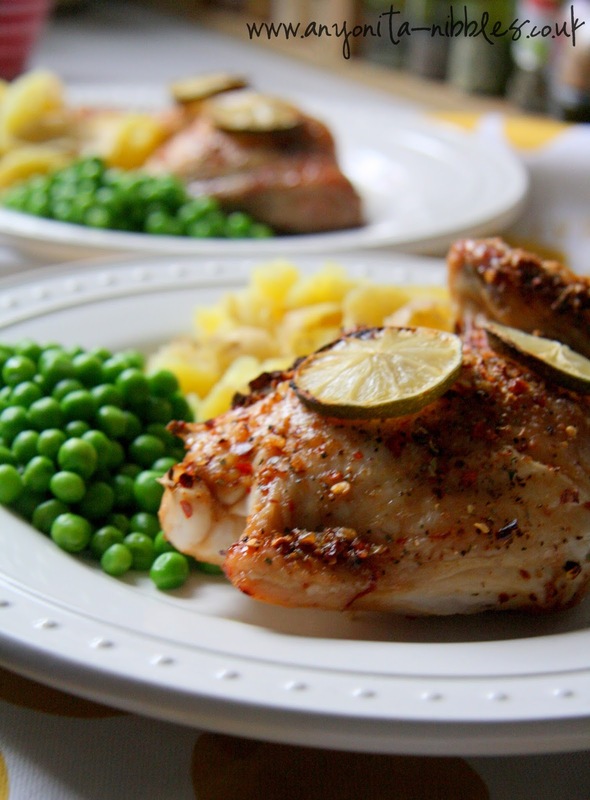 Peri-peri is a popular flavor here in the UK and you can find it on an abundance of chicken recipes, French fries or chips and other dishes. What I love most about it, is how easy it is to tailor it to everyone's tastes. 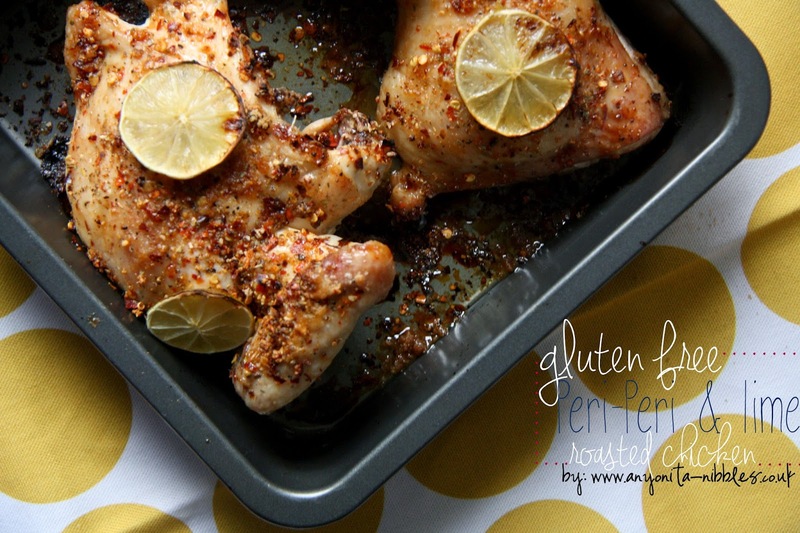 I like my food a lot spicier than my husband does, so this recipe is ideal for us. 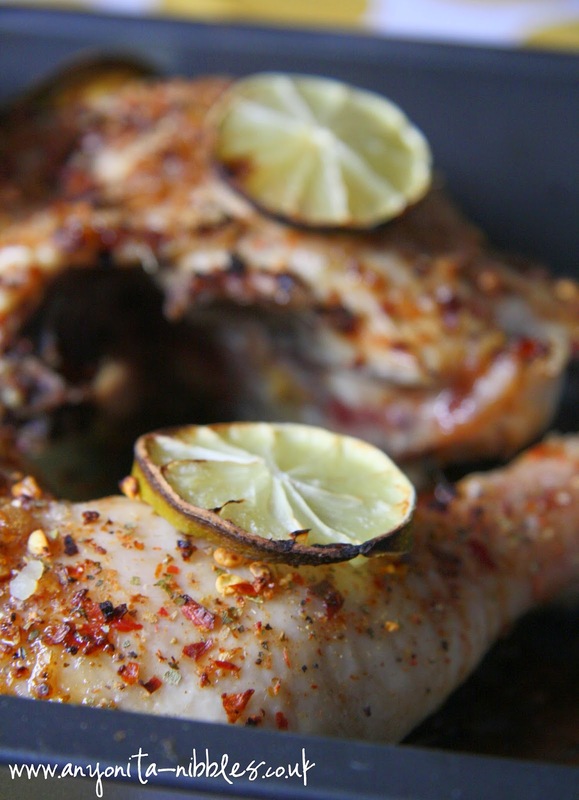 I shook a bit more peri-peri on my chicken and sprinkled over a bit more brown sugar on his--we were both happy. If you can't find peri-peri where you are, you could use a mix of red pepper flakes and cayenne pepper and achieve the same taste. 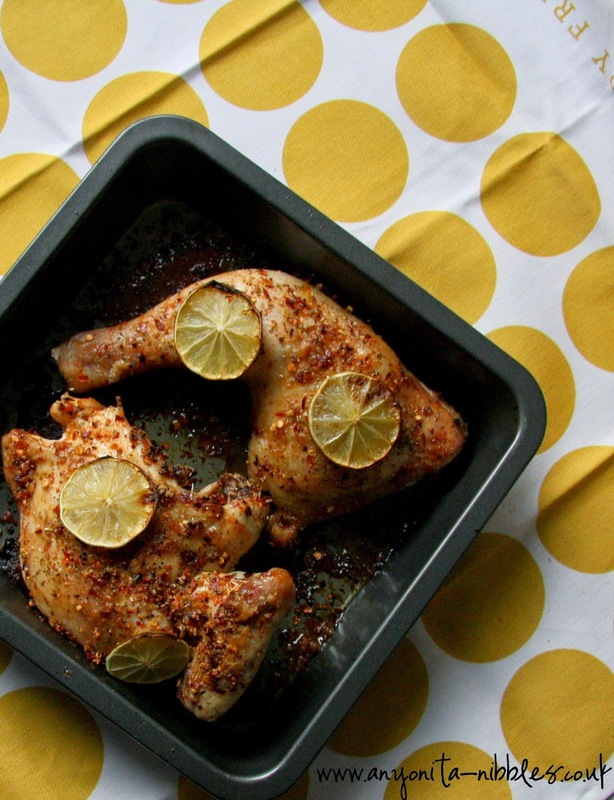 Alternatively, try this roasting method with completely different spices or swap the limes with lemons, too. 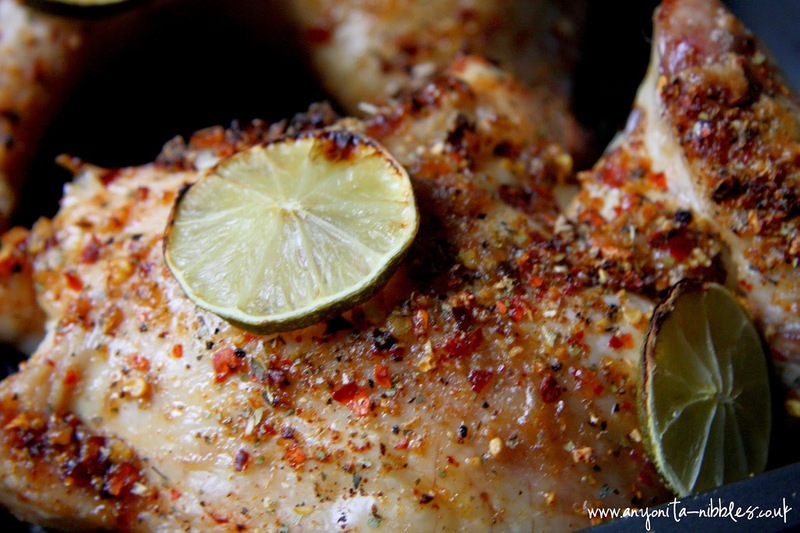 Marinate the chicken with a bit salt, the peri-peri seasoning and brown sugar for at least an hour. 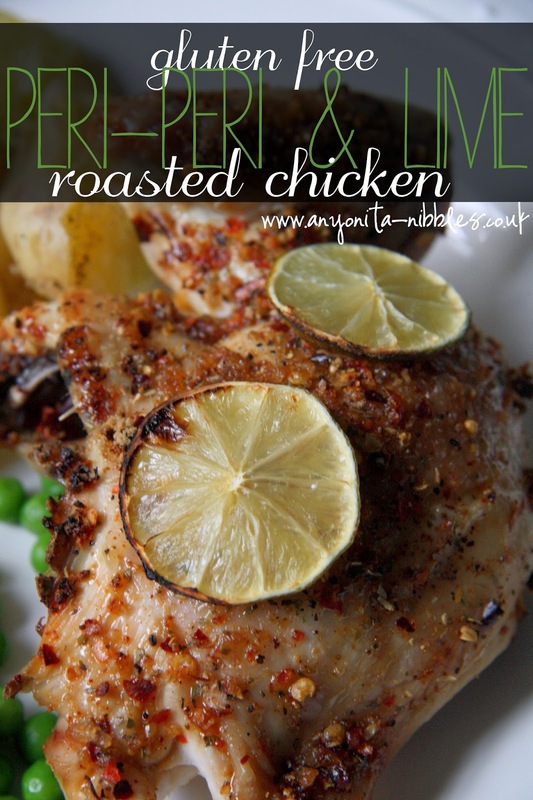 Drizzle the olive oil over the chicken and slices of 1 lime. Roast the chicken, skin side down for 10 minutes. 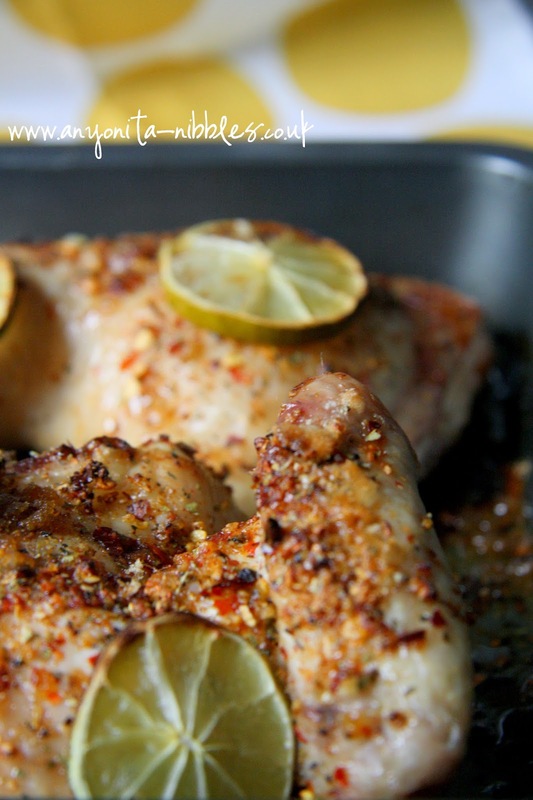 Turn the chicken over after 10 minutes and cover with slices of the other lime. Roast for an addition 10 to 15 minutes or until cooked through and the juices run clear when the plumpest part of the chicken is pierced. 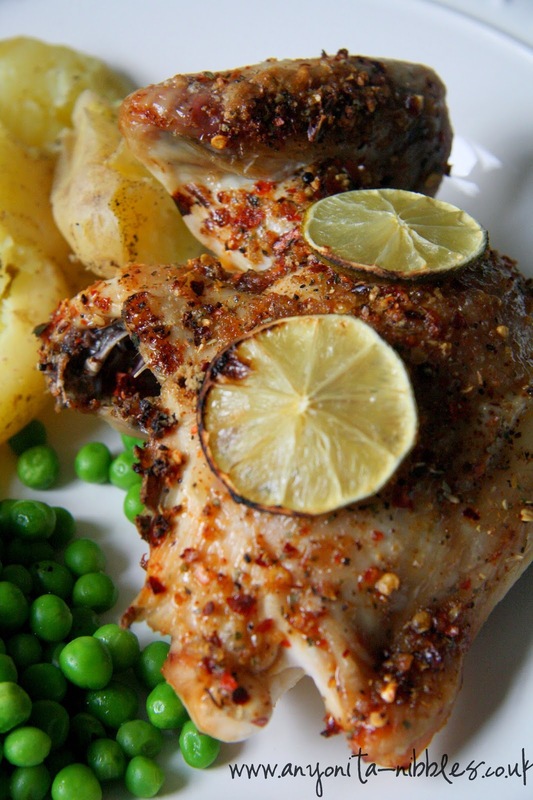 Serve with boiled potatoes and steamed peas. This looks so delicious, Anyonita! A true comfort food meal for sure. Please, please, please tell me approximately how much salt and olive oil. It is so hard the first time one makes a new recipe to imagine how much or how little should be used. Thank you. I'm sorry, I don't tend to measure my salt and oils. Just about a pinch of salt, enough to sprinkle over each piece of chicken. It's the same with the oil, you'll want to drizzle it over each piece of chicken, if your chicken is quite large, you'll need more oil. I hope this helps!